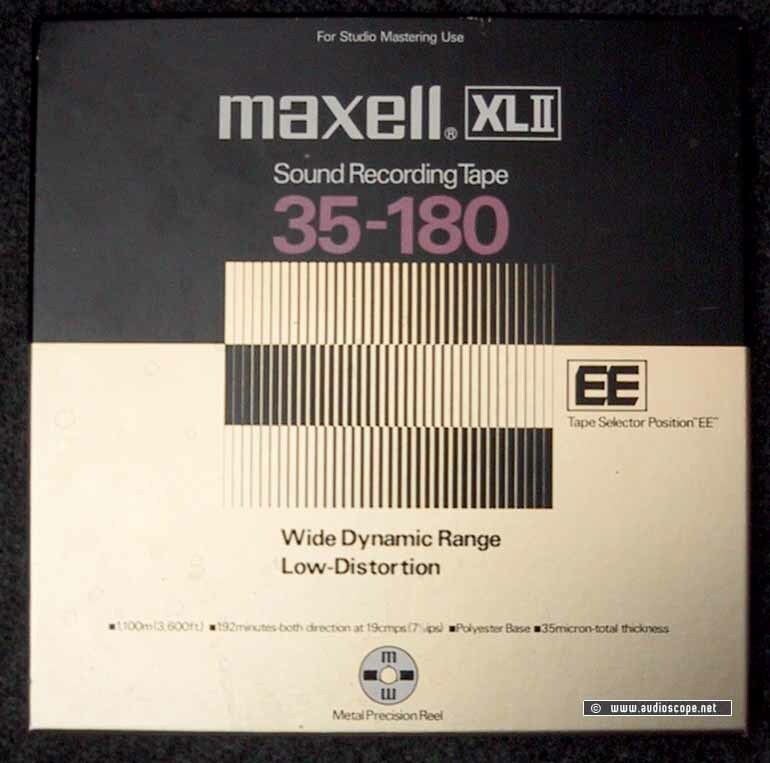 Maxell XL 2 tape 26,5 cm for sale. Tape comes in orig. box on a Maxell Metal Reel. Tapes are used, but we only sell tested tapes. So quality is guaranteed. The best consumer tapes ever made. Only for "EE-Type" comatible tape recorders.